This paper is intended to be a general guide only for the installation of single phase frequency inverters on single phase power supplies. The two supply voltages discussed will include 220V (230V, 240V) and 480V Single Wire Earth Return (SWER) systems.  Soft starting of the motor & load reducing mechanical stresses & reduced water hammer with pumps.  Significantly reduce the starting current, from 600-800% down to <110-150% of the motors rated FLC.  Automation & process control using the built-in electronics to provide constant pressure / flow systems for irrigation or other pumping applications.  Ability to control the speed of the motor.  Energy Savings: Substantial energy savings may be achievable for Fan & Pump loads. The frequency inverter required will be dependent upon both the motor and the power source available. The general rule to remember is that a frequency inverter can convert single phase into three phase power but, it cannot provide a higher voltage out than what you put in. Therefore if you only have a 220V 1phase power supply input, you cannot get three phase 415V output. It will only provide 220V 3 phase output. If you have a 480V power supply you can output three phase 415V - a lower voltage. Motor suitable for 415V only, will need step-up transformer to increase input voltage to >415V and a 415V inverter with DC bus choke. The standard frequency inverter is designed to operate from both a single phase & three phase power supply making it ideal for Single Wire Earth Return Line or single phase supply systems. The standard frequency inverter can operate from a 480VAC single phase power supply (Single Wire Earth Return) and provide a controlled 415V three phase output to the motor. The standard frequency inverter (or equivalent) can operate from a 220VAC single phase power supply and provide a controlled 220V 3 phase output to the motor. 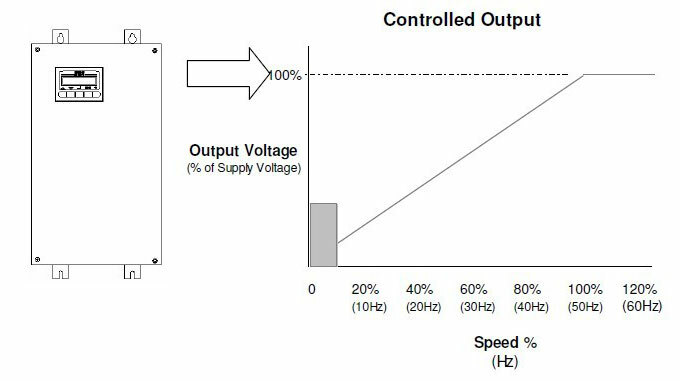 When selecting the frequency inverter it is important to determine the motors full load current at the voltage in which it will operate. To do this, it is useful to know the relationship between star and line voltages & currents. 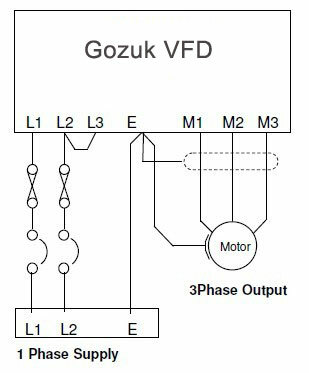 This is especially important when a 415V star / 220V Delta motor is being used on a single phase 220V power system. Therefore, the Line current or Full Load Current of the motor when connected in single phase 220V Delta is 5.9Amps. A frequency inverter capable of a continuous output of 5.9 Amps is required. The operation of an inverter on a single phase power line is simple, but you do need be aware of some of the issues and how they may be addressed. All inverters satisfy the requirements of the certain standards. To achieve these standards it is necessary to install the equipment as per the inverter manufacturers instructions. This may require screened frequency inverter cables from the inverter to the motor. Additional measures may be required for installations which may be sensitive to RFI. Additional measures & alternatives to screened frequency inverter cables are available such as High Performance Output Filter. All inverters produce some form of harmonics on the line power, which is significantly increased when operating on a single phase power supply and particularly so, on Single Wire Earth Return or rural environments where the loading on smaller supplies may be relatively high. A DC bus choke is mandatory for inverters operating on a Single Wire Earth Return supply. The sizing of the transformer and the inverter/motor loading on the power supply needs to be taken into consideration when concerned about harmonics. The effect of excessive harmonics may cause overheating of electrical components such as transformers and cables. 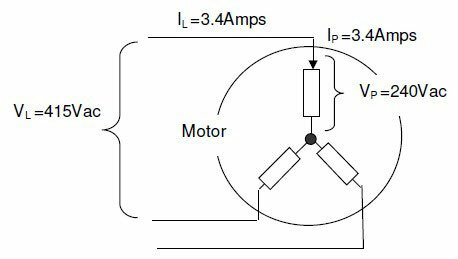 For the smaller motors operating from a 220V 1Phase power supply, harmonics are some what lower and a DC bus choke may not be required. Because Single Wire Earth Return line systems only occur in rural areas, where higher ambient temperatures may be experienced, the ambient temperature must be considered. Some manufacturers offer frequency inverters with a continuous rating of 50degC ambient. An IP66 enclosed frequency inverter is also available so the equipment can be direct wall mounting without further enclosing. This promotes better cooling and lower internal operating temperatures. Since the inverter acts as an inverter and produces a 3 Phase power supply from a 1 Phase supply, the current is expected to be higher on the input then the output. 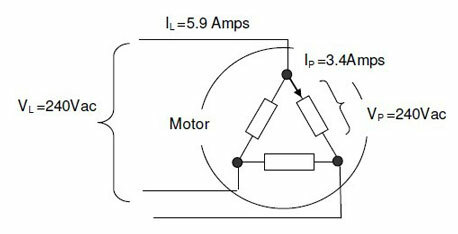 It is therefore important to determine what level of supply current is required for the intended motor. As a guide the RMS AC line current to be allowed for, is 1.84 times the motor phase current. When a frequency inverter is operating from a single phase Single Wire Earth Return supply, the standard frequency inverter must be rated accordingly. Other considerations when selecting the most suitable frequency inverter is the ambient temperature and the type of load. Your inverter manufacturers can assist with selecting the correct frequency inverter for your application. The frequency inverter should be selected based on the full load current in the manner which the motor is connected. The motor should be suitable for operation on a frequency inverter and comply with certain standards. The frequency inverter operates from the single phase power line connected to L1 and L2. 1. 480V Single Wire Earth Return Supply: The inverter takes the 480V single phase AC power and converts it to a 3 Phase output suitable for a standard 3phase 415V motor. 2. 220V single phase power: The inverter takes the 220V single phase AC power and converts it to a 3 Phase output suitable for a standard 3 phase 220V motor. The frequency inverter offering a robust IP66 enclosure and a 50°C rating.  No air filters to clean, eliminating nuisance over temperature trips from poor ventilation. Other enclosure types are also including; IP30 & Stainless Steel IP66. The frequency inverter has the technology built-in to provide automated control systems and to interface with external control systems.  Digital & Analogue I/O for remote controls and interfacing with control systems.  PID control for automated process controls such as constant pressure system.  'Hibernation' mode to automatically switch the output on and off with demand. The installation of single phase inverter is simple as shown. Speed control can be manually using the controls provided or remote speed potentiometer. A Pressure control system can be easily achieved using the single phase inverters internal PID control and an external pressure transducer. Refer to the instruction manual for comprehensive details on installation, in particular using screened motor cables. For assistance in the selection of a suitable frequency inverter please contact your suppliers. Motor Nameplate Full Load Current (FLC) and voltage. Protection from Sunlight & other heat sources. Appropriate derating for Single Phase operation. Special requirements from motor or pump manufacturer. For more information on how to select/operate a frequency inverter, it's better to contact the frequency inverter manufacturers.